Our FREE 5K Fun Run Series continues on Sunday June 18, 2017! 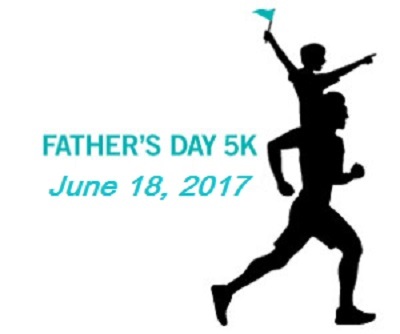 Grab your dad, and come join us for the Father’s Day FREE 5K Fun Run to benefit the St. Michaels Community Center. Remember, there is no registration ‘fee’, but we do ask for a donation for a local cause. This month we are collecting items to benefit the summer programs offered by the St. Michaels Community Center. The Center is in need of items such as juice boxes, small bottles of water, and individually packed snacks to provide to the kids that attend their programs throughout the summer months. Come out and help us give back to the community that has supported us these last five years! As usual, this event is open to everyone. All ages, all abilities, and even pets are allowed. One requirement….HAVE FUN! We hope to see you in June!